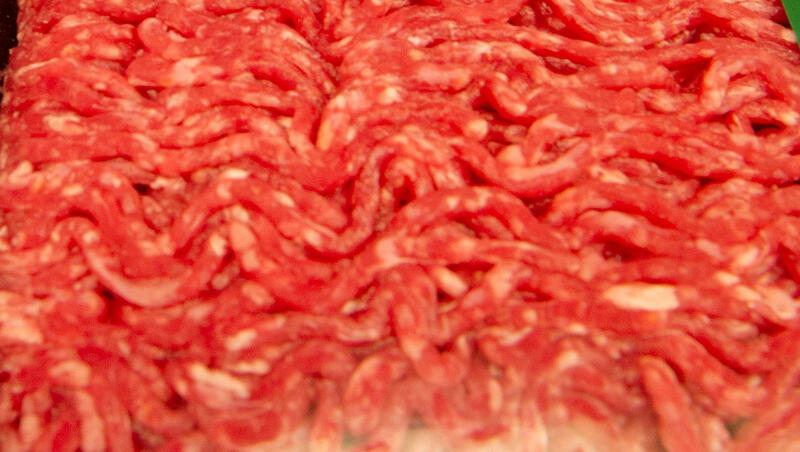 An Arizona company is expanding a recall for ground beef to include more than 12 million pounds of raw beef products. The items were packaged from July 26 to September 7, and were distributed to retail locations nationwide. The U.S. Department of Agriculture's Food Safety and Inspection Service (FSIS) said the products from JBS Tolleson, Inc., may be contaminated with a strain of bacteria called Salmonella Newport. An investigation has found 246 cases of people getting sick in 26 states. The initial recall was issued in October. Affected products have the establishment number "EST. 267" stamped inside the USDA mark of inspection. They include brands such as Kroger, Cedar Farms and Showcase. The USDA said some of these products may be frozen, so customers should check their freezers and throw away any of the beef impacted by the recall. Common symptoms of salmonella include diarrhea, abdominal cramps and fever within 12 to 72 hours of eating food contaminated with the bacteria. The illness could last up to seven days. While most people recover, health officials say older adults, children and anyone with a weakened immune system could develop more severe illness. Anyone concerned about an illness linked to salmonella should contact their health care provider. FSIS is still investigating the outbreak, and said additional products could be recalled. In addition to throwing away any meat covered by the recall, health officials say always cook raw meat to a safe internal temperature —160° F for ground beef. They also stressed the importance of washing hands to avoid cross-contamination. Click here to see the full list of affected products.